You all know by now that I just came back from Stockholm, where I spent a few days discovering a city I had been dreaming about for years. It didn’t disappoint at all. In fact, I suspect that Axl Rose wrote the lyrics to Paradise City after his first trip to Stockholm. As soon as I arrived at Arlanda Airport, late on Wednesday night, that’s what struck me: the girls are pretty. But it’s not just the girls. Everyone I could see was pretty. Children, men and women. Old and young. I couldn’t believe my eyes. Strangely enough, instead of crushing my confidence, it made me feel great, totally exhilarated. I stayed in a hotel just opposite Central Station. I didn’t choose the location of the hotel, but it was really quite central and practical. Stockholm is pretty small (at least compared to London), so from where I was, it was easy to walk everywhere. This is the island south of the city center. It seems to be a much younger, trendier area. It would be the equivalent of East London, I suppose. 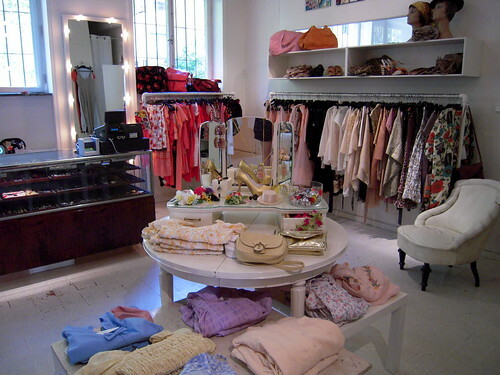 There are lots of vintage shops, cute little cafés and secret gardens. However, there is no need to go there too early in the morning because the shops open from 12 onwards. I went there at about 10 and the streets were really quiet, which is good because I wanted to wander around the area first. There are two main streets of interest: Götgatan & Bondegatan. 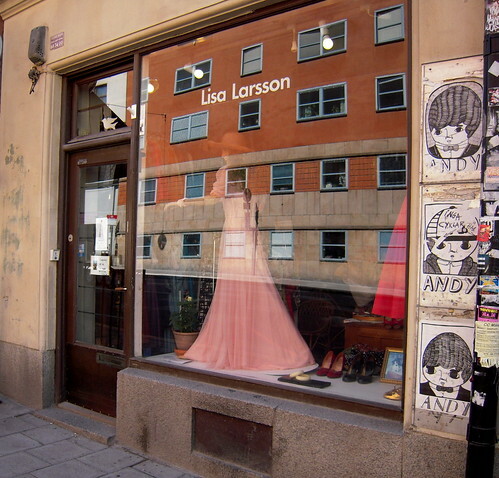 If you walk down Götgatan from the t-bannan station called Slussen, you will see everything there is to see in this street. You can follow it till it crosses Bondegatan, further South. 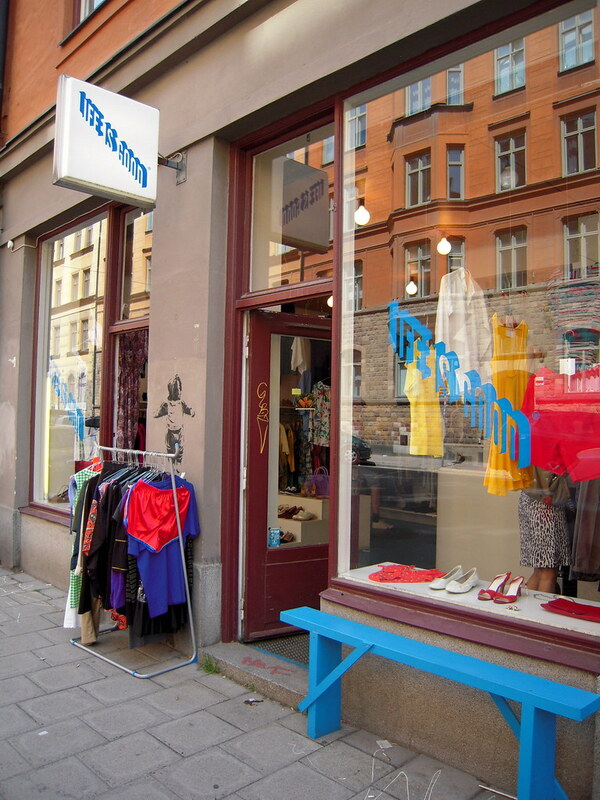 On Götgatan make sure you check out Monki, Gina Tricot, Weekday (high street shops with a Swedish twist) and the magazine shop. Also, you will find the best Emmaüs ever on Götgatan. 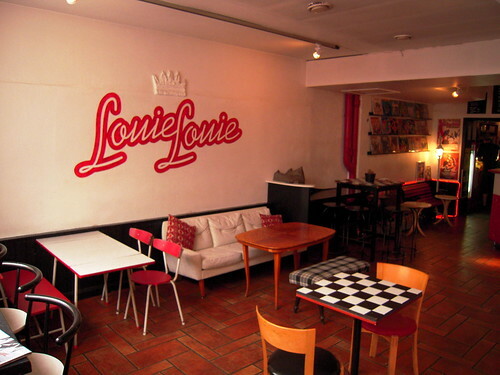 On Bondegatan, stop for a coffee at Louie Louie or Café String, then carry on to visit Tjallamalla (independent designers), Lisa Larrson and Repris (vintage). Make sure you stop in the lovely Vitabergsparken, there is a slightly hidden entrance on Ploggatan, where it crosses Bondegatan. 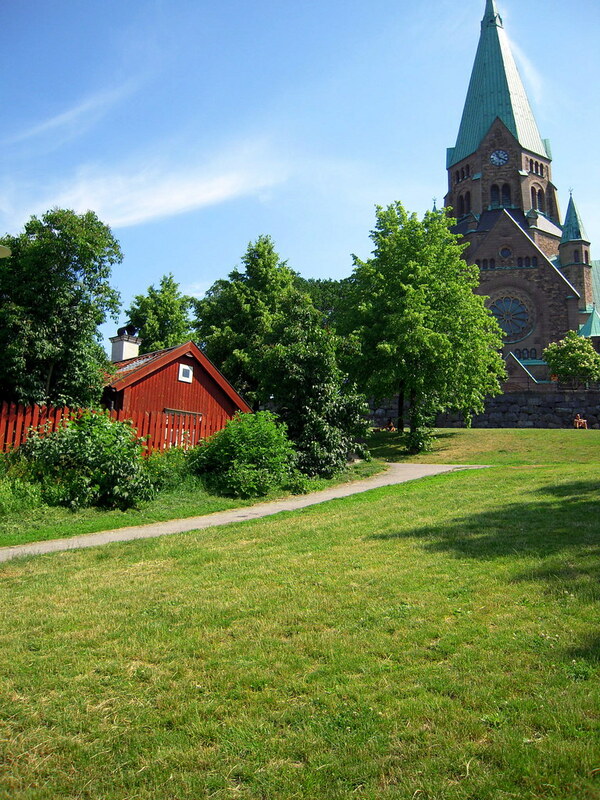 It is a park perched on rocks, that you access through wooden stairs and narrow little streets. That’s it for today, next time I will tell you more about another area of Stockholm!